Picked up a Smithfield shoulder for half priced. Unenhanced and weighing in at 8.34lbs. 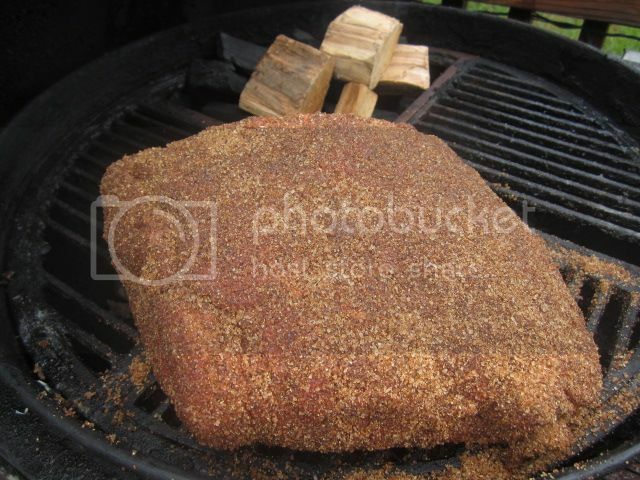 Rubbed very liberally withWolfe Rub Original , cooked with Cowboy and apple chunks. Also, I wanted to point out how I light my fire, since several people have emailed or asked me in the forum. I don't use chimneys, I use a hand torch. 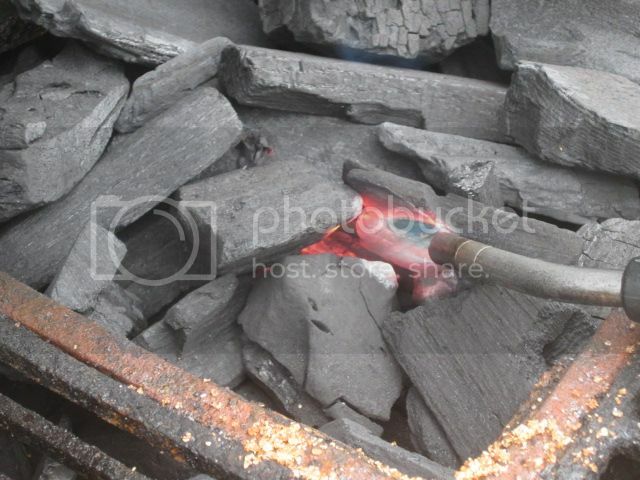 My method is a little different I think than others, as I light my coals last, after the grill is loaded with meat. 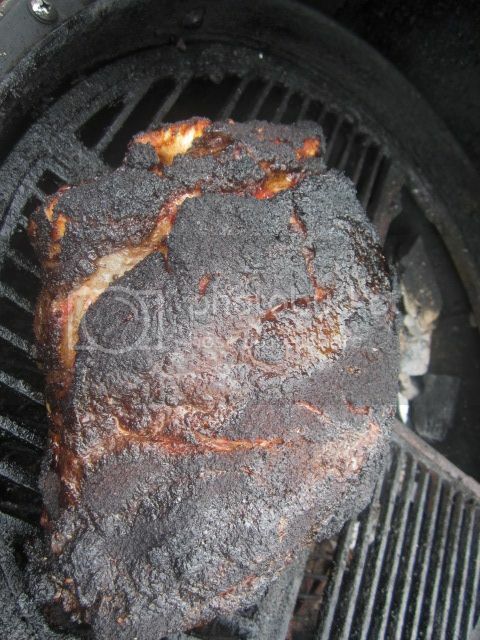 I only do this when I am BBQ'ing, not grilling. I do it for a couple reasons, it's easier for me and easier to keep the temps lower on the Kettle if you can control them on the way up vs. trying to get them to go down. 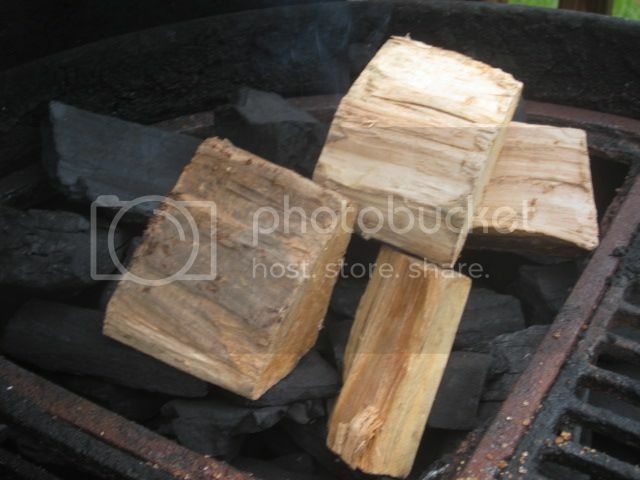 So what I do is load up the charcoal into a pile, then load the 'cold' meat, then blast with a MAPP torch for about 30 seconds, then add my wood. 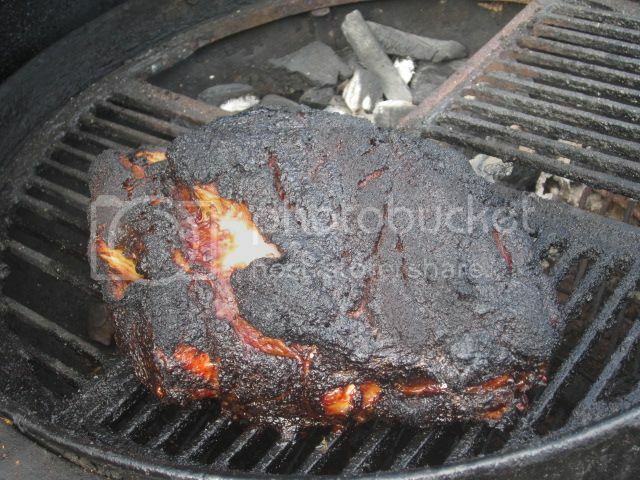 While the lid is still off I let the wood begin to burn, once it stats to burn, I put the lid on. 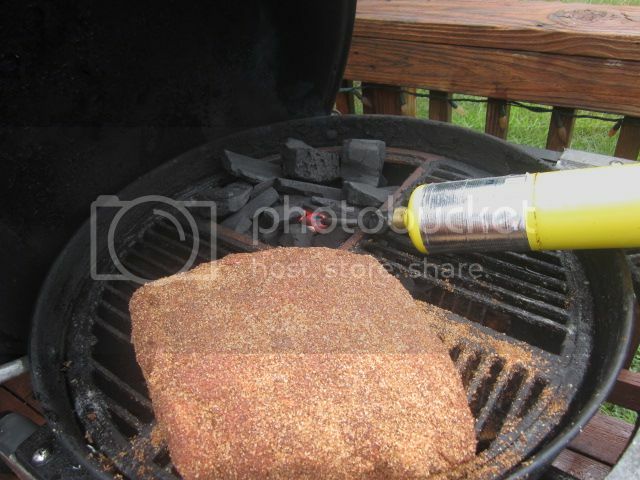 Within 10-15 minute the clean blue smoke begins to flow. Here we are after 6 hours. The smell is intoxicating! And the finished product after approximately 10 hours. 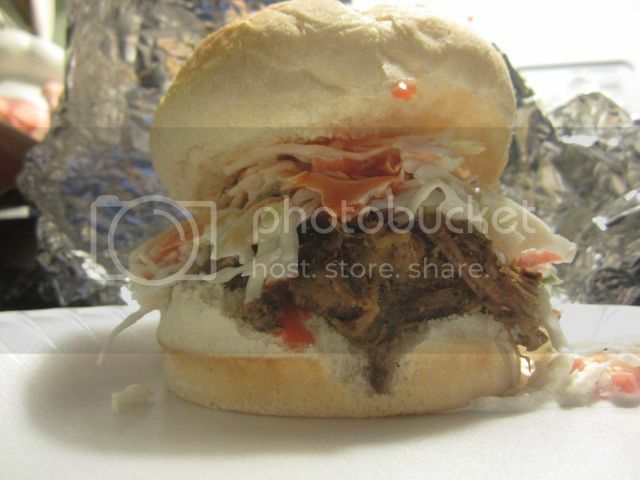 Served on a Kaiser roll with homemade slaw and dressing and plenty of Texas Pete. 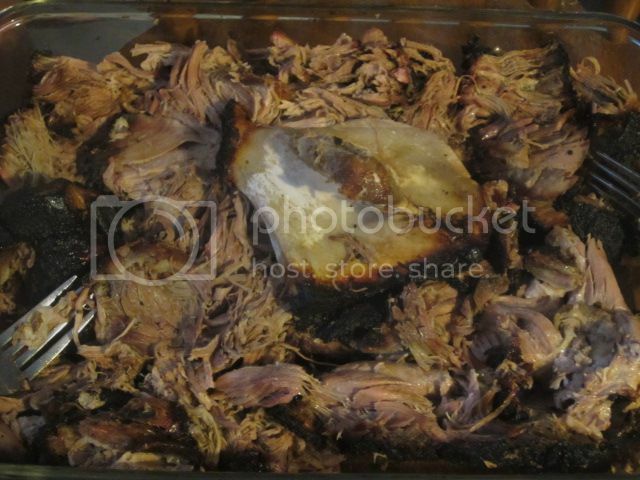 I have an 8lb one in the fridge ready for Saturday and your sandwich is making me crave it now.